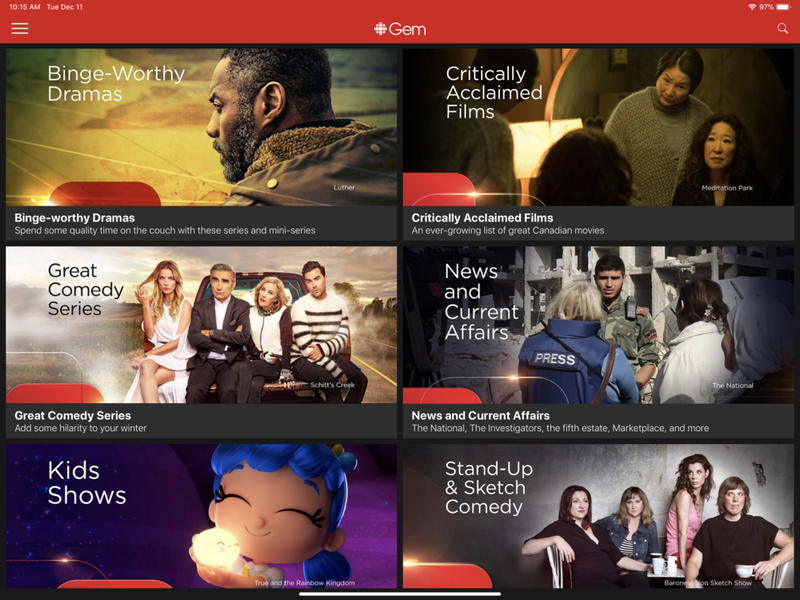 The Canadian Broadcasting Corporation (CBC) had announced back in September that they would be rebranding their "CBC TV" app to be called "CBC Gem" and today the update has started to roll out to users. The name change is part of the version 9.3 app update for Android and iOS which also addresses chromecast issues. Users are free to sign up for the service and watch many CBC original TV shows, and live streaming tv channels with Ads or they can pay $4.99 per month to remove the ads, and unlock additional content and live streaming channels. CBC also announced they would be working with independent producers in the future to create more original content for the new app.